 The Harrisburg Bureau of Fire exists to serve the City of Harrisburg, and when needed, the greater Harrisburg metropolitan area by providing effective fire suppression, emergency medical services, tactical rescue, urban search and rescue, water rescue, hazardous materials response, fire prevention, fire codes enforcement, and public safety educations. The Harrisburg Bureau of Fire operates out of three stations and the Office of the Fire Chief, which is located in the McCormick Public Safety Building at 123 Walnut Street in downtown Harrisburg, PA. Office personnel is the Fire Chief, Deputy Chief, Fire Safety Education, and the Fire Inspector. The Bureau of Fire is a team of highly motivated diverse individuals dedicated to common to public interaction and providing efficient services. This involves the use of modern fire and rescue equipment, integrated up-to-date training and safety techniques, computer technology, and cooperation with surrounding fire, rescue, and EMS agencies to provide the best service available by making public safety and protection our perpetual primary priority. How can I get a free smoke detector from the Fire Department? If you are a city resident, please call 3-1-1 or 717-255-3040 to be connected with the Fire Department and request a smoke detector. You can also submit a support ticket to request a smoke detector free of charge. How can I request a fire safety & education class for a group? Please call 3-1-1 or 717-255-3040 to be connected with the Fire Safety Prevention Officer. You can also submit a support ticket to request a fire safety & education class. How can I become a volunteer/firefighter?